Given how polarized the political climate in the U.S. is right now, I thought it would be valuable to look at what polarities are and how we might better manage or leverage them at work and in our communities. This is the final piece in a three-part series on managing polarities. A polarity is a state in which two ideas, opinions or beliefs are completely opposite or very different from one another. It is not a problem to be solved but a state to be managed. How does our ability to manage polarities inside us help us mange the polarities outside us? When we have internal polarization, we are at war with ourselves. We often employ the same tactics with ourselves that we use with others. We try to convince ourselves that one polarity is wrong before flipping to arguing the opposite. What are some of your polarities? Here are a few of mine that occur occasionally either simultaneously or sequentially. My experience is that when these polarities fight with one another inside me, I cannot host the polarities around me. As noted in the previous blog, hosting polarities means receiving and entertaining opposing “truths.” Just as with polarities outside us, polarities inside us are usually both true. For example, I can feel confident when I work with clients while also being afraid that I might not be as effective as I want to be. To be able to manage polarities inside us, we need to make internal space for them so that they are not at war with one another. This is easier said than done, but worth the effort. The first step is to notice and acknowledge the competing or contradictory voices that arise from time to time without judging them. In other words, be present with them with as much kindness as you can muster. Doing this requires self-awareness, the ability to track your inner experience and notice when opposing views or states of being arise. The second step is to notice whether you are inclined to side with one voice or the other. For example, I don’t like being afraid but it is always there inside me to a greater or lesser degree, regardless of how confident or courageous I feel. Engaging in a battle between these aspects of myself is never productive; in fact it is debilitating. I have come to appreciate how receiving and acknowledging both experiences engenders humility and provides me with clues to what I might be avoiding. If I acknowledge fear without pushing it away or judging it I might notice that I seem to be afraid of confronting a client about his or her reneging on agreements. Noticing the fear allows me to choose to use my courage to describe to my client what I am observing. The first step requires self-awareness, this second step requires having enough space to host your polarities without reverting to either/or thinking. When you have space inside to host apparently opposing voices or perspectives, you open the possibility for more internal peace and forward movement. You are creating space for your larger or deeper purpose to come to the fore. 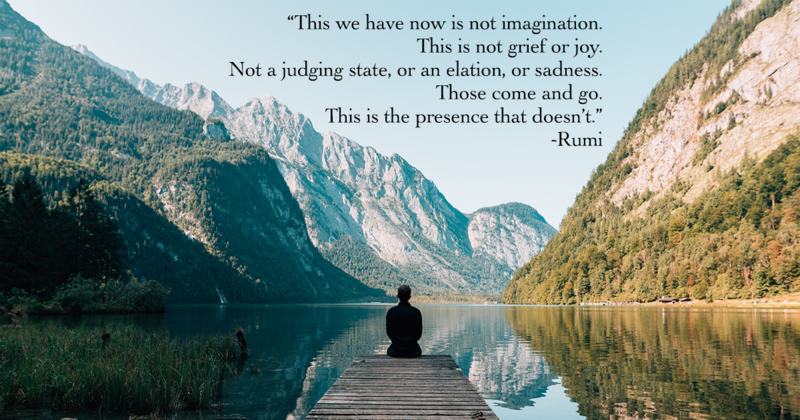 I create—or connect with existing—space inside me through daily meditation that involves paying attention to my breath and its impact on various parts of my body one at a time and the body as a whole. Another element of meditating that helps me feel more spacious is paying attention to body sensations, thoughts and emotions as they come and go, without getting lost in them. Noticing the space or pauses between thoughts is also helpful. Internal spaciousness enables us to be present for and host polarities occurring around us. By creating space inside us we can avoid exacerbating the polarities involved in almost any human endeavor or interaction. Managing our own polarities enables us to help manage the polarities that arise in our interactions at home, at work and in our communities.